Cofactor Genomics said it will partner with the NIH’s National Cancer Institute and three unnamed academic and pharma institutions to demonstrate the clinical utility of the company’s Cofactor Paragon immune-profiling assay, through a collaboration whose value was not disclosed. The collaboration will focus on using Cofactor’s RNA-based immune profiling technology in initial case studies designed to better understand the immune profiles of patients with several forms of cancer—including sarcoma, prostate cancer, lung cancer, breast cancer, and bladder cancer. Through a material transfer agreement, the NCI agreed to provide the company with clinical specimens for analysis, with the goal of jointly validating the Cofactor Paragon assay platform in several clinical trials. Most of the samples will be processed in Cofactor’s St. Louis-based laboratories, which includes a CAP-accredited RNA-sequencing facility. Cofactor’s Paragon is a research-use-only assay designed to offer insights on the most impactful immune modulatory molecules shown to have implications in drug discovery, biomarker development, and immunotherapy efficacy monitoring, using samples from two sections of solid tumor FFPE tissue. Paragon—which was commercially launched on February 8—uses a proprietary database of immune reference signatures and is designed to accommodate any solid tumor specimen, with expression databases pre-built for more than 25 different cancer types. The assay is designed to deliver RNA-based data in an easy-to-interpret report highlighting gene expression for 8 cell types and 10 immune inhibitory molecules. Immune escape genes highlighted include PD-1, PD-L1, CTLA4, OX40, TIM-3, BTLA, ICOS, CD47, IDO1, ARG1. Immune cells profiled are CD4+ T Cells, CD8+ T Cells, CD19+ B-cell, CD14+ Monocytes, CD56+ Natural Killer, M1 Macrophages, M2 Macrophages, and Treg. Cofactor said data and feedback from the studies will enable it to transition the assay to an off-the-shelf sequencing kit, with complementary cloud-based informatics. Cofactor added that it plans to present a series of “lightning” talks focused on sharing results from recent studies, during the upcoming American Association of Cancer Research (AACR) Annual Meeting 2018, to be held April 14-18 in Chicago, where Cofactor will be at Booth #3906. 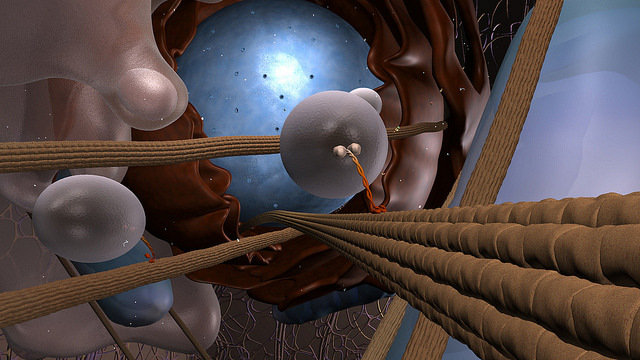 Cofactor reasons that its assay holds potential for improving on existing technologies designed to profile the tumor microenvironment, which have been hindered through challenges that include expense, costly equipment, substantial amounts of biopsied material required, and the difficulty of quantifying and interpreting data. The company has also cited statistics from “Comprehensive Analysis of the Immuno-Oncology Landscape,” a report published December 7 by the Cancer Research Institute, showing that 2,004 immuno-oncology candidates are under development—of which 940 have advanced into clinical phases. “New immunotherapies and combination therapies are moving into clinical studies very rapidly. There is a need for advanced assays which enable thorough molecular tumor profiling to better predict and interpret patient response,” stated Dr. James Gulley, Head of the Immunotherapy Section of the Genitourinary Malignancies Branch at the NCI Center for Cancer Research. Founded by three former Human Genome Project molecular and data scientists, Cofactor Genomics has locations in San Francisco and St. Louis, and has raised more than $20 million, including an oversubscribed $18 million Series A financing completed in September.